Christmas in the Gardens, taking place from Thursday 13 to Saturday 22 December, will see the beautiful public space in front of Leicester Cathedral come to life after dark. Located between Jubilee Square Ice Rink and Leicester’s thriving independent shopping areas of St Martins Square and The Lanes, Christmas in the Gardens will inject some festive spirit into the Old Town and tie in to the city’s wider Christmas celebrations. The luminous centrepiece of the Gardens will be an installation called LightWeight – a giant inflatable sphere, 4 metres across, glowing with intense colours and imagery. 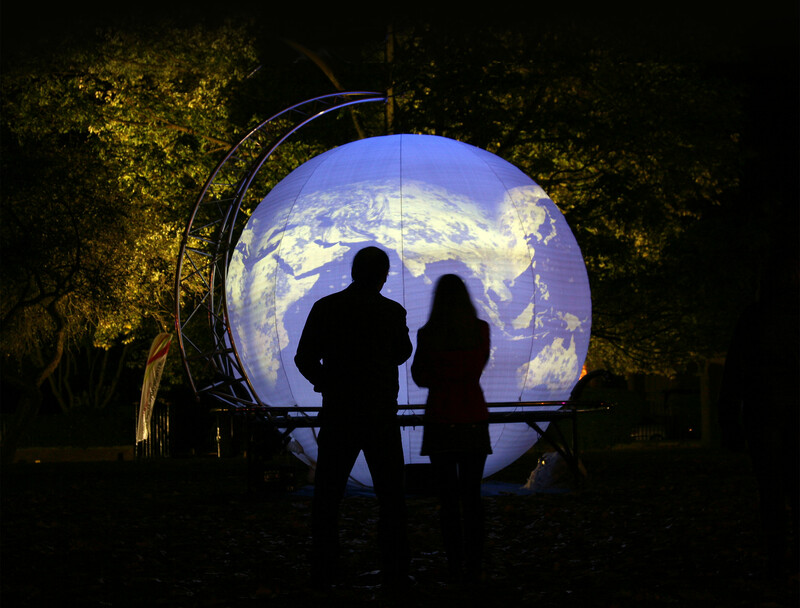 The interactive projection orb will captivate all ages, as audience members can watch video and animation effects spin magically around the entire surface of the globe. The audience can even see their own animated portraits dancing across the structure – a nearby face-recognition camera booth captures images and maps them on to animations in real-time. "We are thrilled to have the opportunity to produce this beautiful light installation to add to Leicester’s fantastic Christmas celebrations. We specialise in major festivals and events, and as a Leicester-based organisation we are excited about bringing this creative, playful and interactive digital piece to the city." Christmas in the Gardens will run from Thursday 13 December to Saturday 22 December, 5pm to10pm daily.